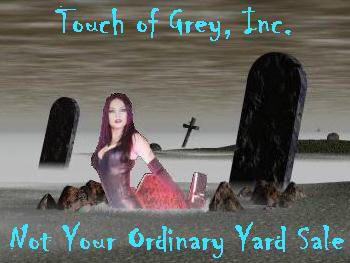 a subsidiary of Touch of Grey, Inc. 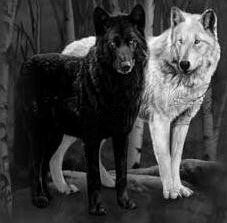 If you are new or curious please remember our way of life is not like the TV show Charmed or the Harry Potter movies. We love, laugh, honor the Earth and heal. 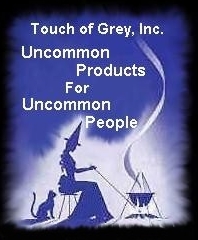 We strive to find or create items of unusual character. This site will be updated with new products as they become available. 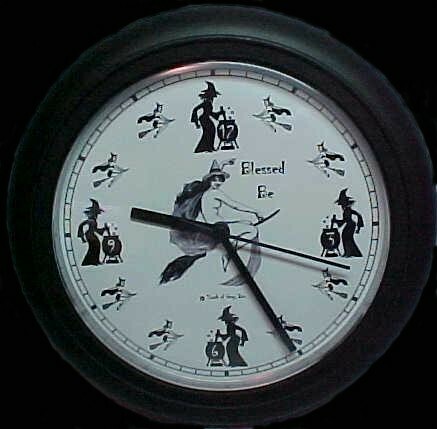 This clock has a 9" black plastic frame with a 6 3/4" black and white clock face consisting of a center witch figure, cauldrons and witch figures on brooms. . The quartz clock mechanism requires one AA battery (not included). 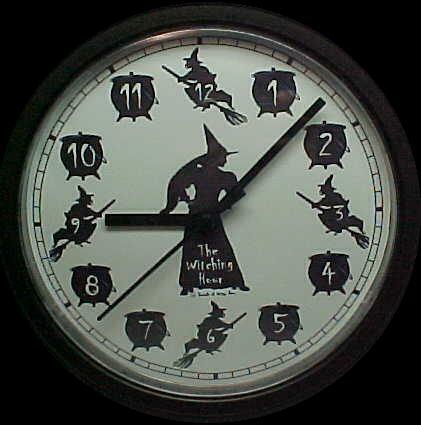 The The Witching Hour Clock is $18.95 with Free priority mail shipping in the U.S. 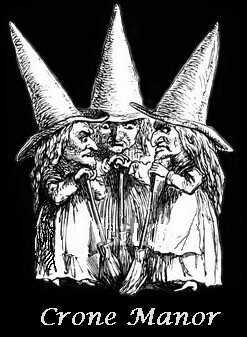 This clock has a 9" black plastic frame with a 6 3/4" black and white clock face consisting of a center witch figure on broom, 3 crone witches with cauldrons and 8 small witch figures on brooms. The The Blessed Be Clock is $18.95 with Free priority mail shipping in the U.S. This clock has a 9" black plastic frame with a 6 3/4" black and white clock face consisting of skulls winged skeleton and gargoyles. The Out Of Time Clock is $18.95 with Free priority mail shipping in the U.S. 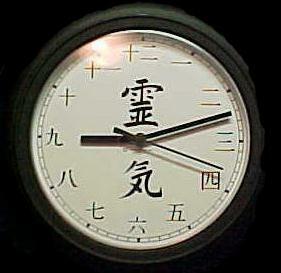 This clock has a 9" black plastic frame with a 6 3/4" black and white clock face consisting of numbers 1 through 12 in Japanese Hiragana fonts. In the center are the Japanese Kanji for REI and KI (pronounced Ray-Key). 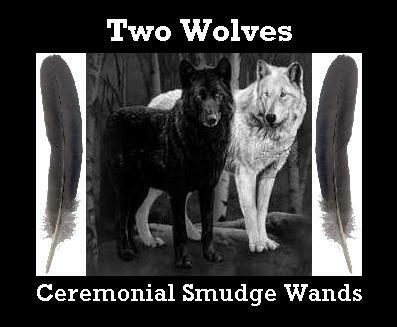 The name literally means Universal Life Force Energy. 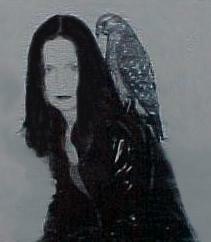 with Free priority mail shipping in the U.S.
International shipping is determined by location. Please Email for stock availability. All clocks are designed and made by us. This silver pentacle with besom is 1" in diameter with a 1 1/2" besom. Total is $19.00 with Free shipping in the U.S.
Necklace comes with a free 18" chain. 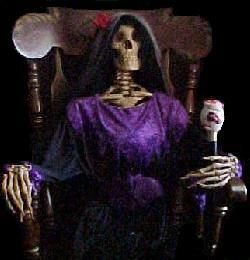 We hope you have enjoyed your tour.